My name is Mark Webb. I’m fourteen years old, live in West Virginia, USA, geocache as Troopbiz, and have over 1,800 finds. I love geocaching because I get to explore new places around my hometown that I’ve never been to and it allows me to get outside and explore nature. 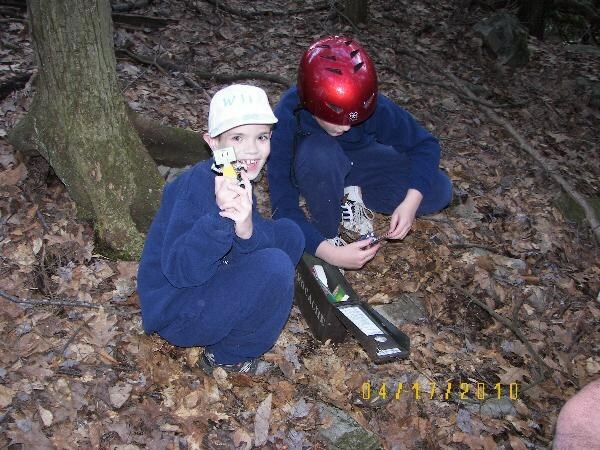 I first started geocaching on July 1, 2009 at the age of 8. My Mom came across a link to Geocaching.com while looking at the local parks and recreation site, and it snowballed from there. I found my first geocache, Black and Gold (GCRET0) two days later. I was hooked. What started out as a family activity to get outside and explore new areas, turned into a new loved obsession. Within that first year, I found over 100 and was eager to find 100 more. Three years later, I found my 1,000th geocache, Gadgets at Deckers Creek. (GC1M90Y). Shortly thereafter, I joined the Boy Scouts and quickly earned the Geocaching merit badge. 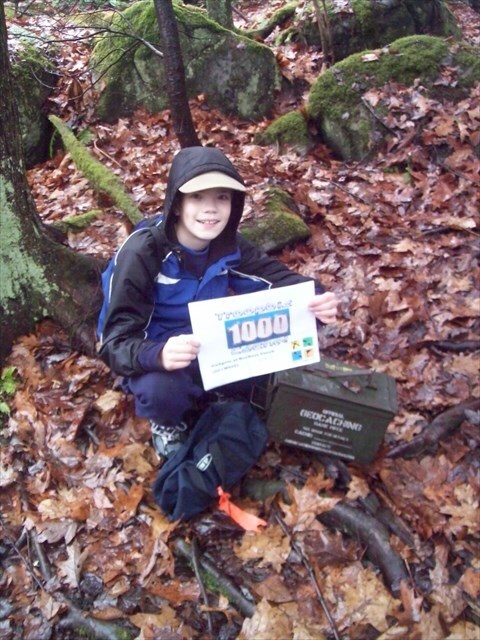 I have educated many Boy Scout troops as well as a 4-H club in my community about geocaching by going caching with them around a local park. 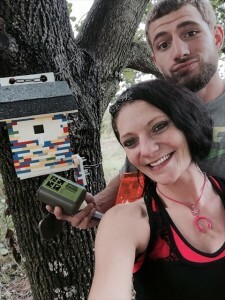 Geocachers find Troopbiz’s cache, Brick By Brick (GC5JB1H), built completely out of LEGOs! Although it can be fun to get wrapped up in the numbers, what really matters in the find behind the numbers. What makes geocaching fun is when someone puts a lot of thought and planning into a geocache. Therefore, I like to do the same with my hides. My first geocache, Up, Down, & Up Again! (GC29NWE) currently has 242 finds and 51 favorite points. I hid a cache called Brick By Brick (GC5JB1H) made completely out of LEGOs. I also have a Puzzle Cache called Cars Cache (GC5AK6Y) based off the movie Cars. I enjoy Puzzle Caches the most because they offer an initial thrill of solving the puzzle, then another after you find the cache. I have also made friends with several other creative geocache hiders in my area such as arealwhit and killlerbee, and we go caching together on a regular basis. 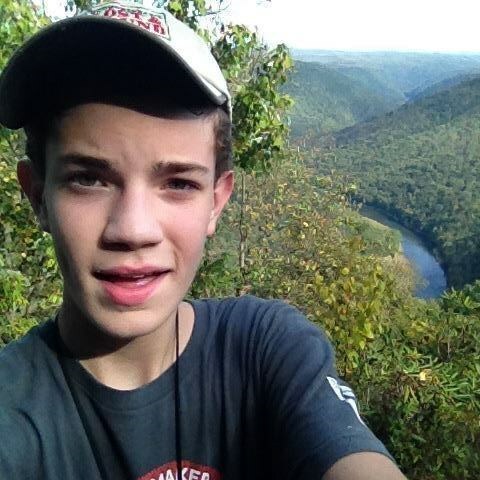 Being a young geocacher does have its advantages, like thinking differently when looking for a cache or climbing a hill with ease. 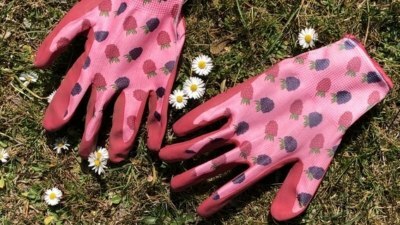 But there are several disadvantages. The hardest thing about being a young geocacher is not having my driver’s license yet. My family and friends assist me on most of my caching adventures. It takes a lot of planning (and convincing), but they usually let me grab “just one more” cache. It is also very difficult to complete challenges like the Fizzy Grid or the 365/Every Day Challenge with family members who don’t have the same drive as me. Another disadvantage of being a young geocacher is not understanding older references. Many Puzzle Caches in my area revolve around older movies, tv shows, and songs. Although I don’t always understand what references a geocache is making, Google usually does! What adventures await us in 2016? 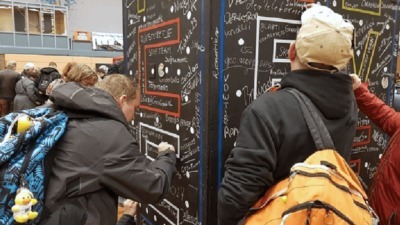 I’m excited to see what the future of geocaching has in store for 2016. One huge accomplishment I would like to achieve is making my 2,000th find. I would also like to continue working on my Fizzy and Every Day grids. Although I don’t think I will complete them any time soon, every block filled is another step closer. I’m also looking forward to events in 2016, such as attending my 5th Midwest Geobash. 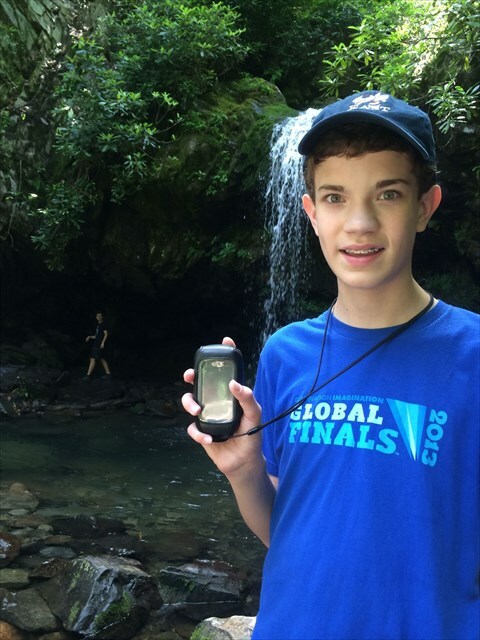 In general, I would like to see more teens get into geocaching as it is a good way to get away from reality and explore new areas in your hometown. I can’t wait to see what the new year holds and what geocaching adventures await! 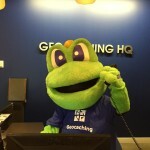 We love meeting members of the geocaching community that inspire us. 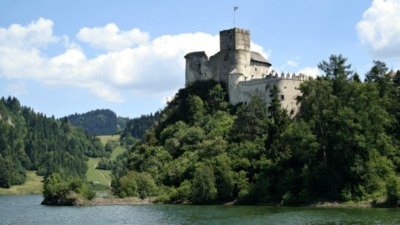 Have you ever geocached with someone from a different generation, and learned a thing or two? If you’re a younger geocacher, what tricks of the trade have you learned from more “mature” geocachers? Tell us in the comments below!